From Forbes: But has the time come to reinvent capitalism itself? Michael E Porter of Harvard University and Mark R Kramer, co-founders of Boston-headquartered FSG and creators of the term shared value, believe that capitalism has reached a point where it cannot evolve meaningfully without solving broader, social problems. At FSG’s Shared Value Leadership Summit for 2012 in Boston, Porter and Kramer explored how capitalism can be used to address social issues. Under this approach, businesses must evolve from a drop-in-the-bucket philanthropy model (donation, volunteering), to the limited impact Corporate Social Responsibility model (CSR, compliance with community standards and good corporate citizenship) to the third level, which is creating shared value (CSV): That is, creating deeper economic value by creating widespread societal value. But the process of creating shared value is at a nascent stage. Kramer acknowledged that there is an ingrained scepticism—that if you’re doing something good for the world, you can’t make money off it. But the rise of social entrepreneurship, he said, is starting to change this mindset. If more businesses are to accept a shared value approach, an accurate measurement of shared value creation is required. Investors need to see quantitative benefits that link shared value creation to bottom line growth. Metrics would have to show social returns from investments and business returns from solving social problems. 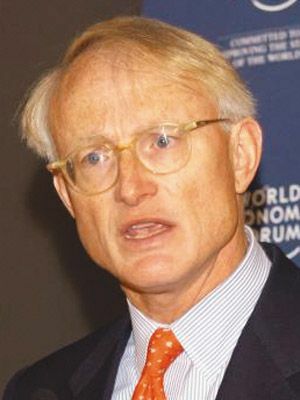 At the Shared Value Leadership Summit in Boston, Michael Porter said companies that practice shared value creation should show investors economic benefits from recycling, saving energy, or serving emerging markets. “Show them by how much,” Porter said. FSG offered some case studies in measuring shared value. By reconceiving products and markets, Intel increased its market share and improved student learning in emerging markets. By redefining productivity in the value chain, the InterContinental Hotels Group reduced operating costs through minimising the environmental footprint. By enabling clusters through investing in rural development, Nestle improved its supply of raw materials. Does your company have an explicit shared value strategy? Has your company defined intended business and social results of your shared value investments? Is shared value measurement clearly distinct from compliance, sustainability, impact assessment, and reputation measurement? Is your company collecting information on the inputs into these efforts, especially around your investment levels? Does your measurement approach prioritise specific results (rather than trying to measure every possible outcome) whenever possible? Is your company increasing value creation based on insights gathered on social and business issues? Companies committed to advancing shared value as a public good are launching the Shared Value Initiative (SVI).